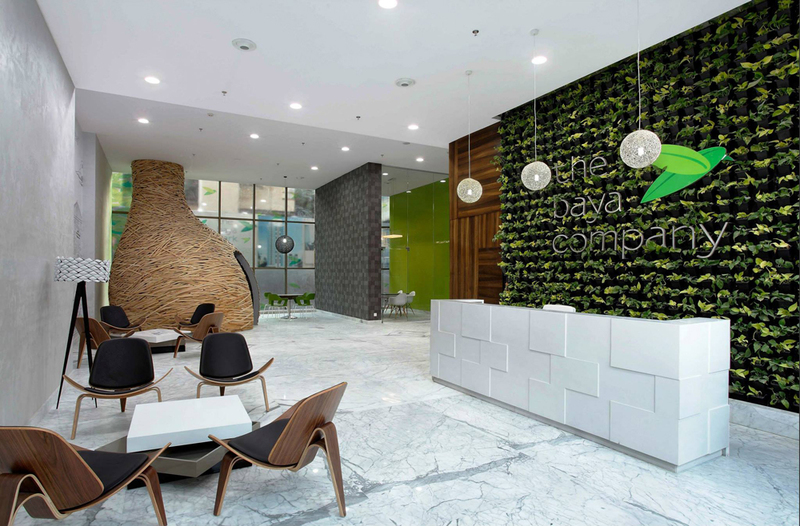 Planet 3 Studios has developed an eye-catching office interior for the Baya Park sales office located in Mumbai. 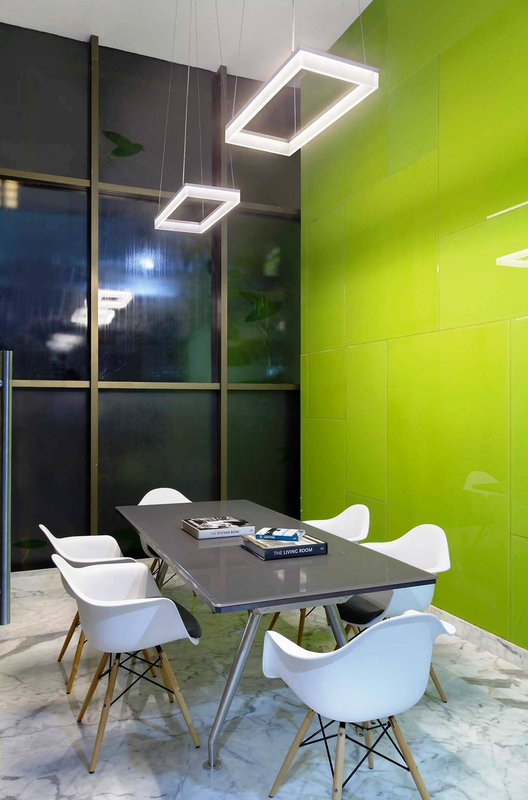 A sales office for a project is in a sense is a theatrical staging area, informing customers explicitly and implicitly about the brand and what it stands for. 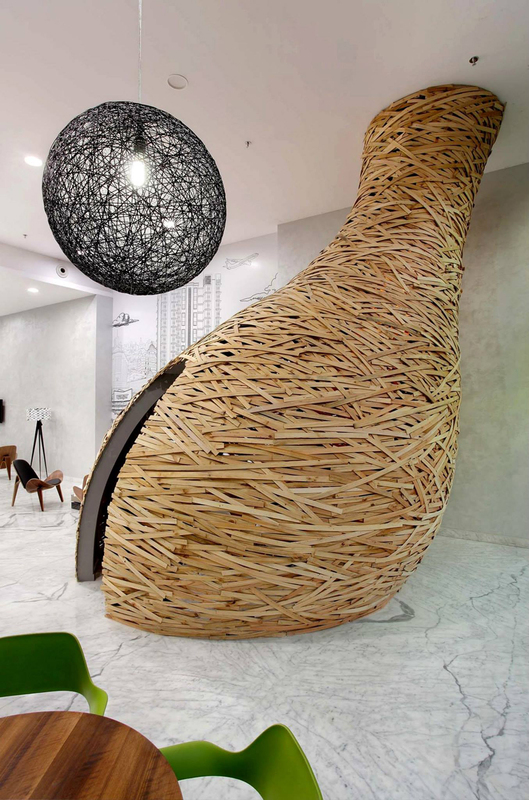 The spatial realm in such a case has less to do with the transactional nature of a sale and more with communication in three dimensions to successfully engage, delight and inform. 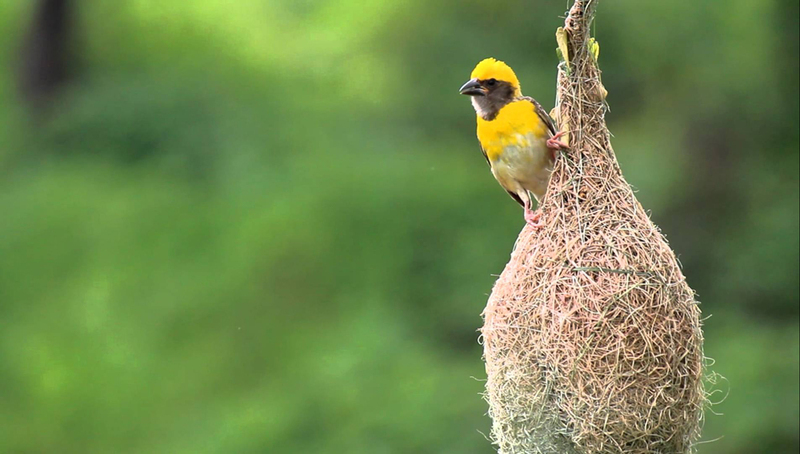 Baya weaver birds make exquisitely complex nests and the brand name and identity borrow from the iconographic imagery that is associated with the birds and their nests. 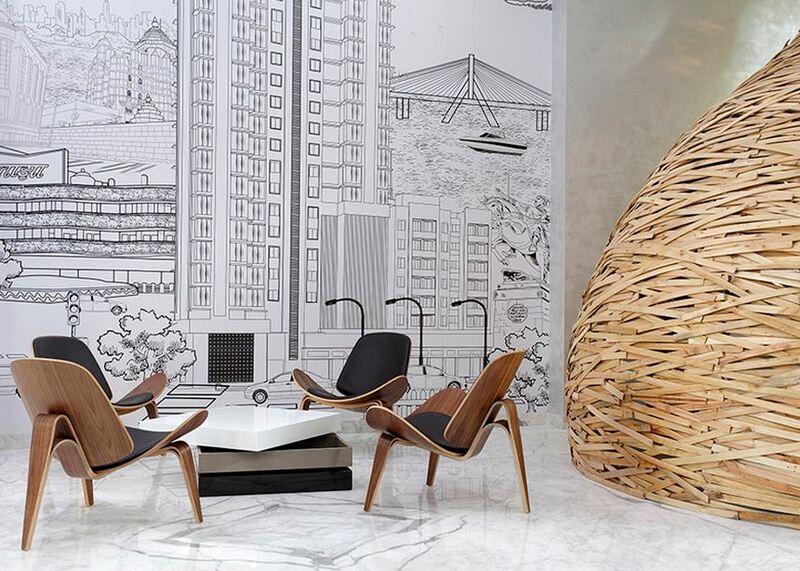 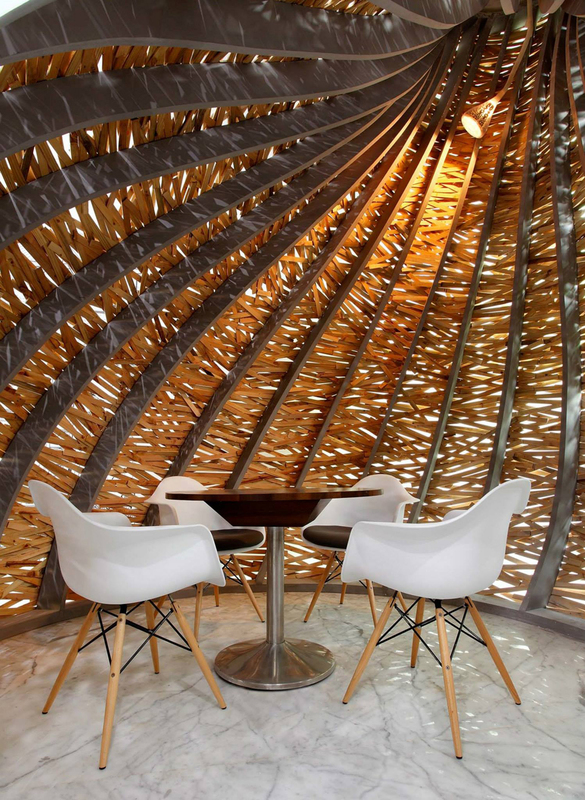 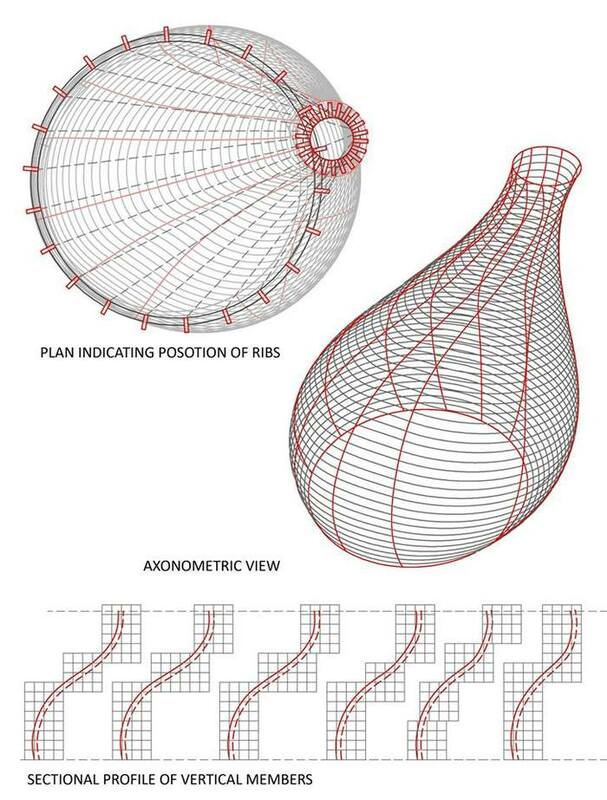 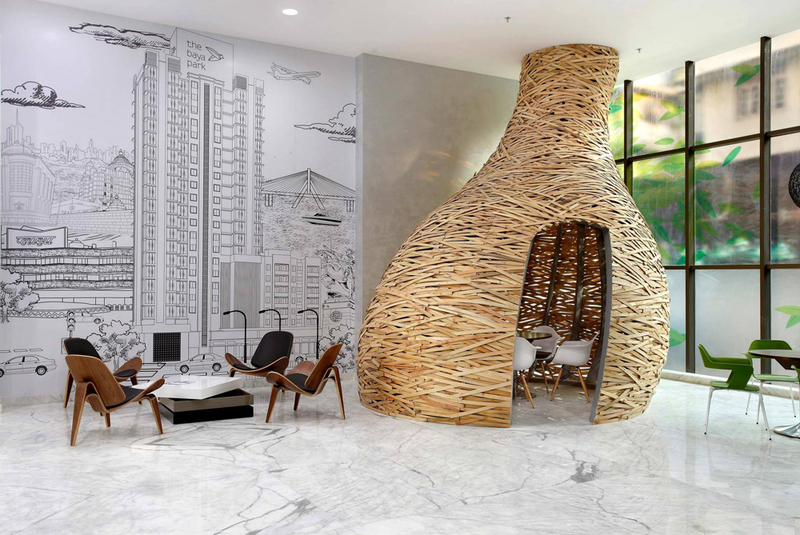 Our key idea was to build a sculptural, dynamic, fluid form that evokes t he Baya nest in an outscaled way.